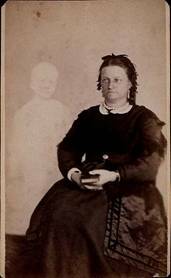 It is not known when or where the first legitimate photograph of a spirit was captured, but we can be certain that the earliest “spirit” photography was produced merely by accident. During photography’s infancy, a long exposure of a person who stood still would appear as clearly as any solid structure. But a person who moved out of the camera’s range after only a portion of the exposure was completed would instead appear as a transparent figure. 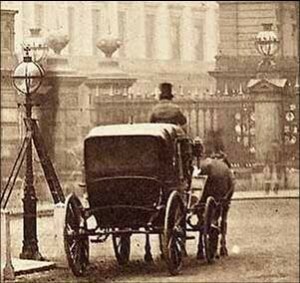 It happened with a popular photograph taken by the London Stereoscopic Company in the 1850s. This photograph above is now known as ”The Lamplighter”. To the left of the horse-drawn wagon is the transparent image of man on a ladder lighting a street lamp. To the right and across the street is also a transparent pedestrian who did not remain in place long enough to be fully captured by the camera’s long exposure. (Notice the horse’s head is transparent as well as the horse also did not remain still during the exposure). Around the late 1850s, the London Stereoscopic Company soon went on to develop a method of double exposing film to purposely create the image of a “ghost”. This was done for entertainment purposes only. 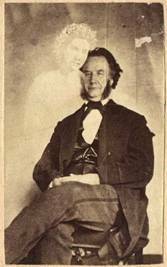 In 1861, an engraver from Boston named William H. Mumler double exposed film to create ghostly images, then sold them to the public, claiming he had captured authentic spirits on film. 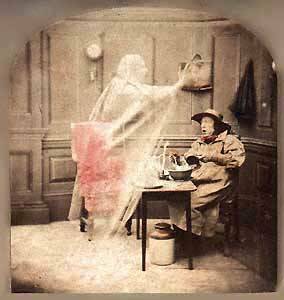 In 1869, Mumler was brought to court, with charges of fraud for selling doctored spirit photography for profit under the buyer’s understanding that the spirits in the photographs were authentic, one buyer being P.T. Barnum, who purchased some of Mumler’s photographs to display in his museum. The trial was covered by newspapers nationwide. The charges were eventually dropped due to lack of evidence that Mumler had in fact doctored the photos. 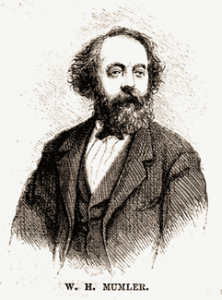 However, Mumler’s reputation was ruined as well as his finances, having spent $3,000 for his defense in court (a large sum in those days). He destroyed the negatives of his spirit photography shortly before his death in 1884. The first true photograph of a spirit may never be known. While many photographs of spirits are doctored today for entertainment purposes, there are still many individuals and paranormal investigation teams who strive to capture authentic photographs containing spirit images and we at NPIS thank those individuals for their efforts in keeping the field of paranormal research authentic and respectable.